The two most central components to creating great customer experiences are understanding your customers and acting upon their feedback. To understand your customers means to listen to them using “Voice of Customer” (VOC) activities which will result in actionable feedback. 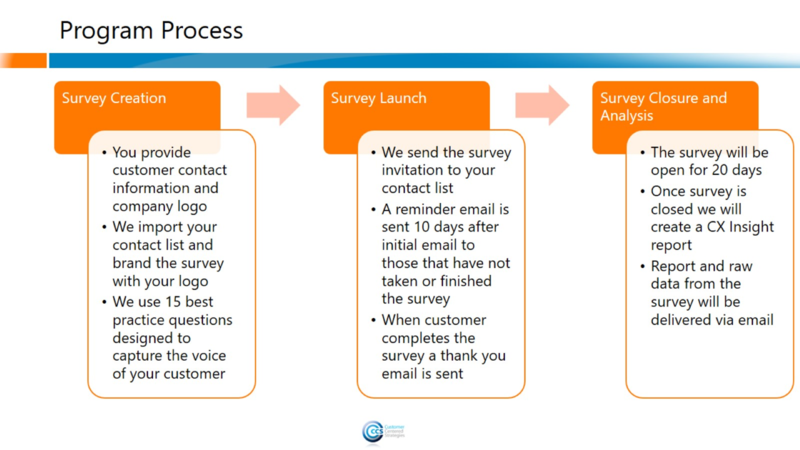 There are several ways to gather VOC feedback; including Relationship Surveys, Transactional Surveys, Strategic Customer Interviews, Focus Groups, and Advisory Boards. 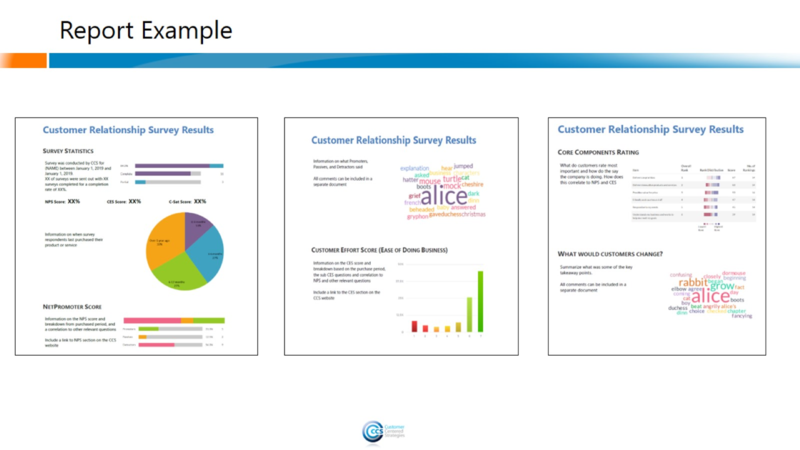 Relationship surveys are a great way to begin gathering VOC as it focuses on the customers’ overall relationship with your business over a span of time (referred to as the customer journey). 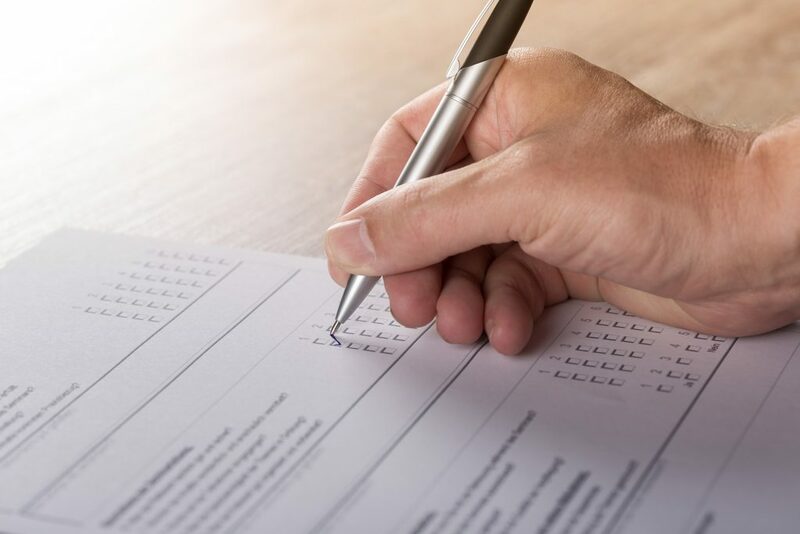 These surveys ask customers to consider their overall experience with your company and are usually carried out at regular intervals such as, quarterly, bi-annually, or annually. B2C companies normally conduct relationship surveys across their entire customer base while B2B companies will survey multiple members from each client company to understand the complete relationship between the businesses. The Net Promoter Score (NPS) metric is widely used in relationship surveys to gauge and determine which segments within your customer experience need improving. We created a simple process that requires very little effort from you, but still gives you all the great insights and information about your customers that you are looking for. 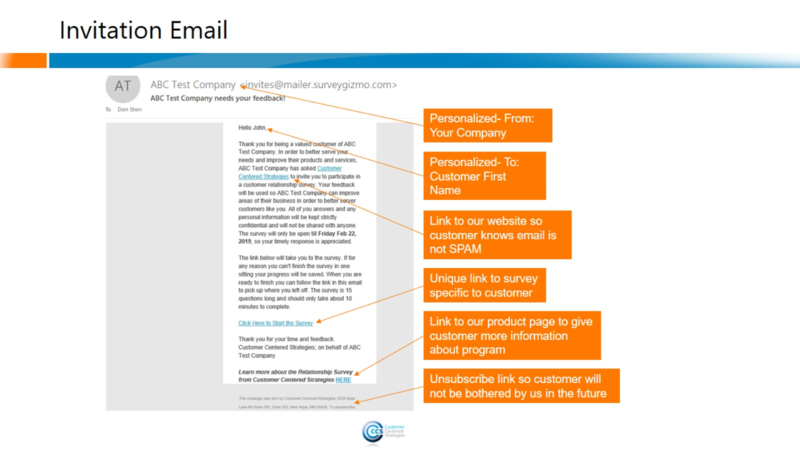 The email to your customers is a personalized message sent to them that politely asks for their feedback and gives them reassurance that their responses are anonymous and that their information is safe and secure. 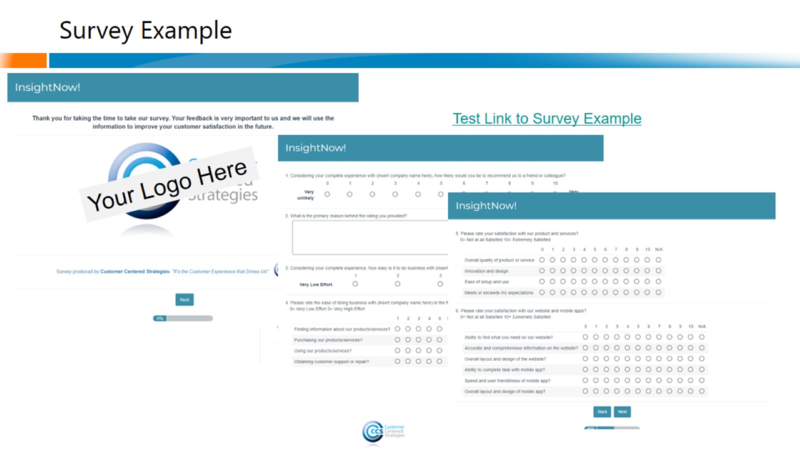 The survey is made up of 15 best practice questions that asks all the right questions to gather the feedback to give you the insights you want. We create a Customer Experience Insight Report that includes a Net Promoter (NPS) score, a Customer Effort Score (CES) and tells you what you customer truly value most about your products and services.